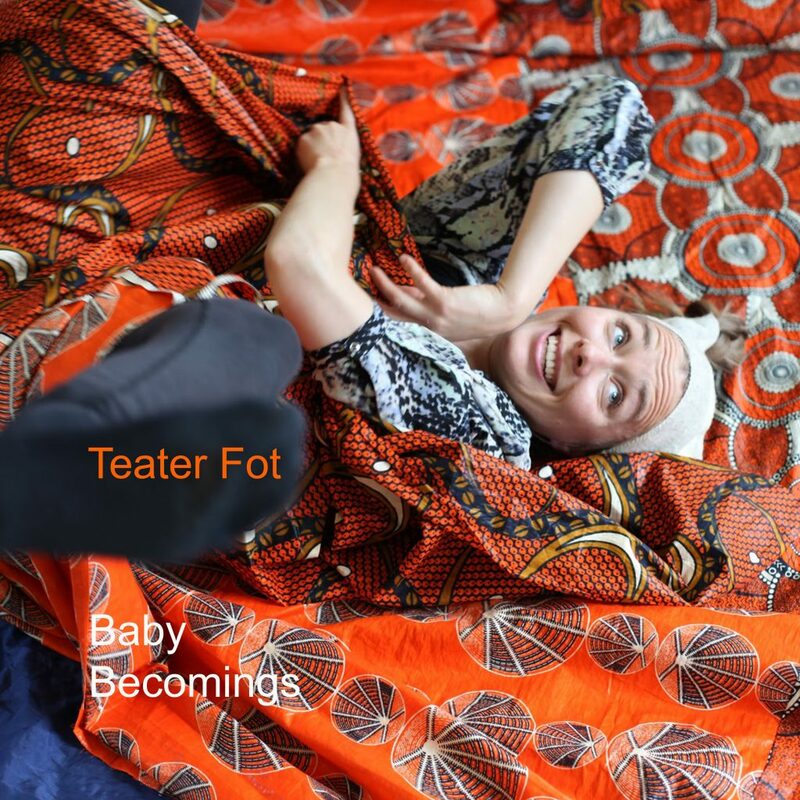 Baby Becomings is a musical theatre performance for babies 0-2 years of age. 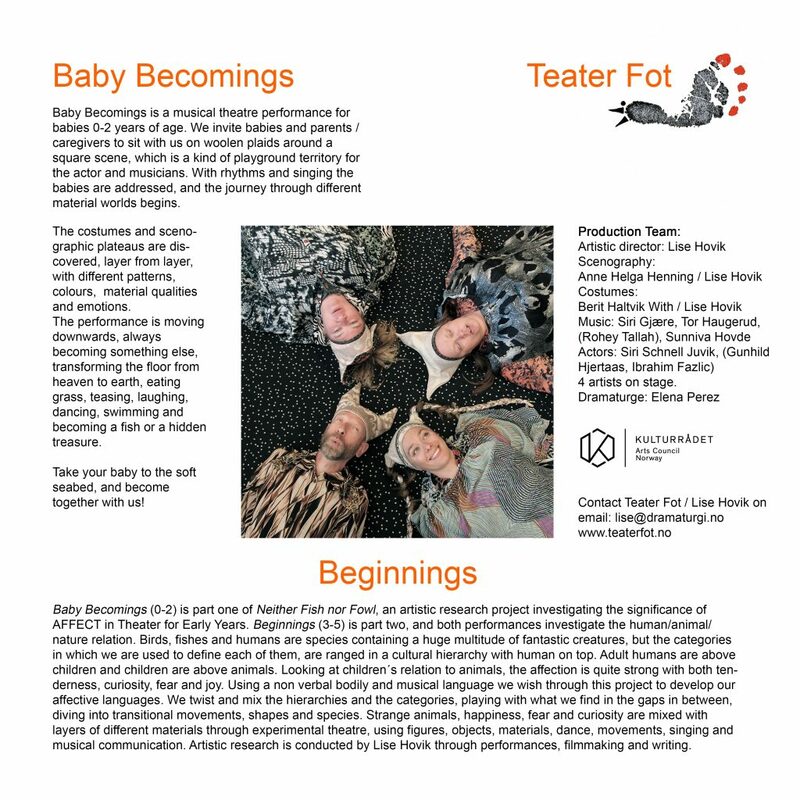 We invite babies and parents / caregivers to sit with us on woolen plaids around a square scene, which is a kind of playground territory for the actor and musicians. With rhythms and singing the babies are addressed, and the journey through different material worlds begins. The costumes and scenographic plateaus are discovered, layer from layer, with different patterns, colours, material qualities and emotions. The performance is moving downwards, always becoming something else, transforming the floor from heaven to earth, eating grass, teasing, laughing, dancing, swimming and becoming a fish or a hidden treasure. Take your baby to the soft seabed, and become together with us!